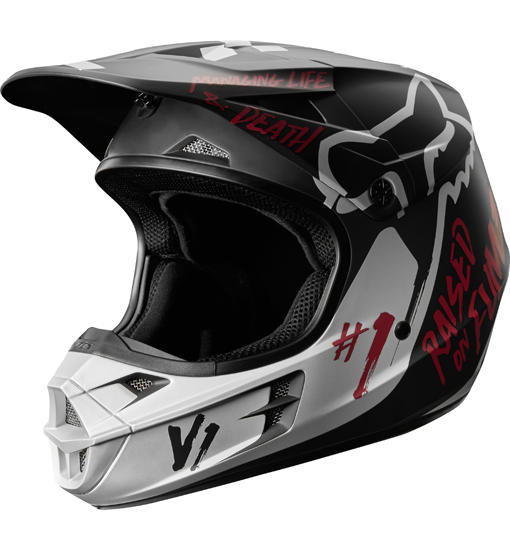 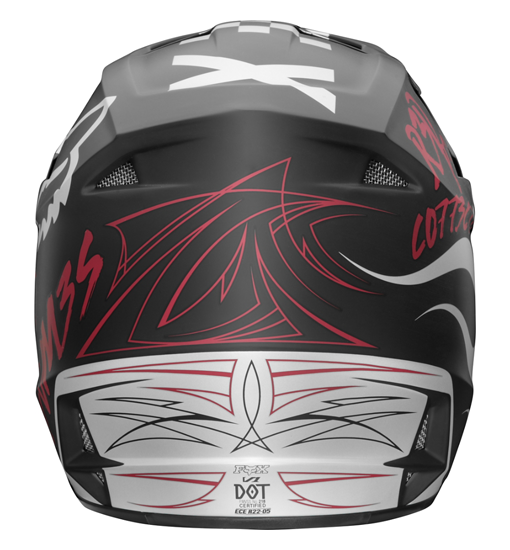 The Fox V1 Rodka Special Edition Helmet features an injected molded polycarbonate shell construction. 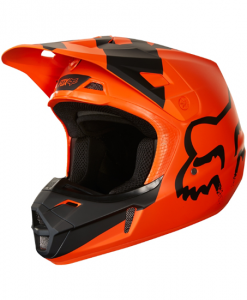 This proven design provides reliable protection from debris and falls. 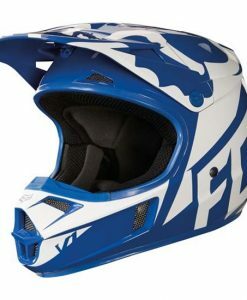 Optimal airflow, a plush liner, and an exceptional fit contribute to the helmets phenomenal comfort. 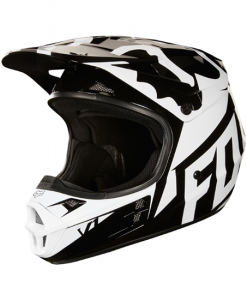 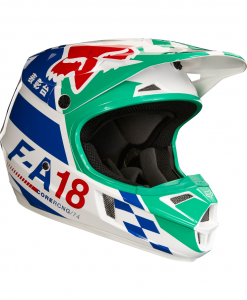 For an excellent fit, the Fox V1 Rodka Special Edition Helmet is engineered in three shells and four EPS dimensions and comes in 6 sizes ranging from XS-XXL. 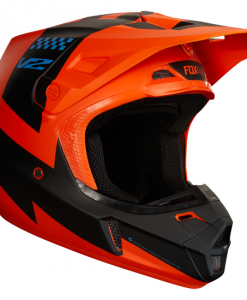 By providing different specifications for each helmet size, you achieve a more accurate and precise fit. 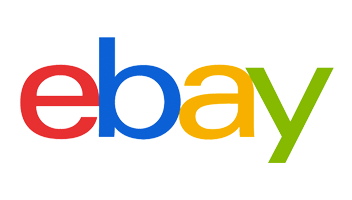 The varying sizes and fits mean you can easily find your perfect match. 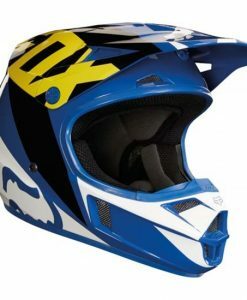 There is no reason a full-face motocross helmet should overheat, turning the interior into a sweaty mess. 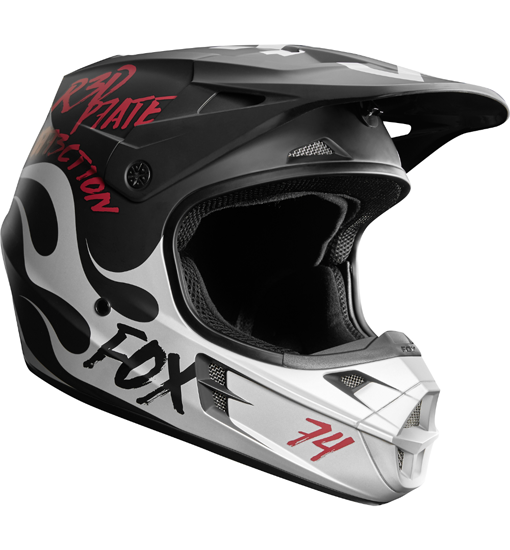 The Fox V1 Rodka Special Edition helmet features an advanced ventilation system to keep you cool, calm and focused. 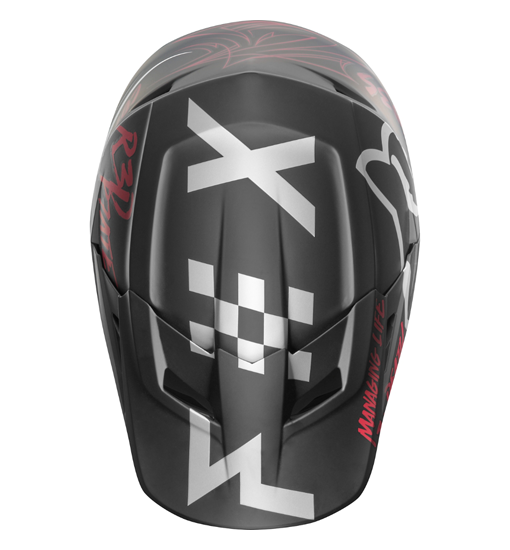 With nine intake and four exhaust vents, the helmet provides a rush of fresh air as you ride and allows heat and moisture to escape. 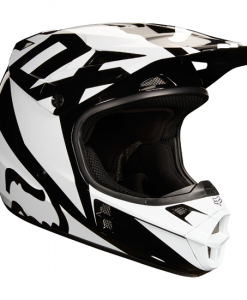 The combination of circulating air and a soft helmet liner will help keep you comfortable even in the scorching heat.